I was saying to M.A. around the time of the last post, "I really have been avoiding the essential stuff. I'd like to write up Fear, but I don't really know what I can bring to it. Something would have to get me in the mindset." I joked, "Maybe I should go get mugged." Shortly thereafter, a kid got gunned down a few houses down from us. A drug thing or a gang thing, most likely. And I thought, with very little human decency, "Maybe now I should write up Fear." But I didn't, because, after all, I had not changed. An burst of automatic weapons fire and a corpse on the neighbor's lawn does not necessarily change you. Scare you, yes. Especially when you consider that you were seen by the whole block talking to the police, and not everyone might be innocent. But that state of fright and shock doesn't last long before being swallowed up by the complacency of the day-to-day. I think back on that early, early morning with little fear or sympathy - little pity, even - just with disgust and not a little wonder that it really happened. Ah yes, and the detectives never bothered to call. So I can't really blame my unplanned hiatus from this work on any scar from the experience, only on a sense of disappointment that I was not in a better position to write about this, one of Mr. Cale's finest songs. Especially one so tantalizingly apropos to the situation on the ground. I just hacked away at the song on my guitars, over and over again, for the next week or so. Look, there's a reason it's on every greatest hits that's ever been put out for our man Cale. If you've listened to it, you know. If not, you haven't been listening to me, have you? Well put, and nice to have you back. Sadly though, unlike a lot of Cale's material, he can't do a lot to expand upon it live. It just is. 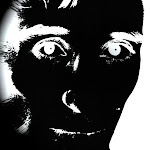 Fear will never be an industrial rock dirge, a minimalistic experiment in electronica and ambience, a proto-hip hop dance track or a quasi-metal hard rock number.